For sending larger or heavier items. In sheets of ten so you won't run out. 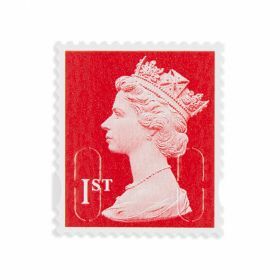 A role of 10,000 first-class, self-stick stamps, for letters up to A5 size or less, weighing up to x g, and less than 5 mm thick (or size B4 or less, weighing up to 750g and less than 25mm thick). 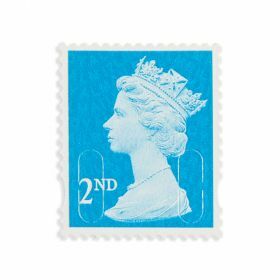 Our first-class service aims to deliver post anywhere in the UK within one to two working days (including Saturdays).